Shailene Woodley and Ansel Elgort fall for each other in The Fault in our Stars. Shailene Woodley (The Descendants) and Ansel Elgort (Carrie) star in the drama-romance The Fault in our Stars, a favorite of fans and critics alike that’s already grossed a whopping $125 million at the domestic box office since opening wide in U.S. theaters this past June. 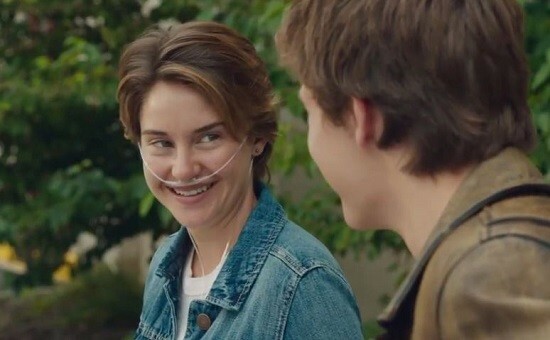 Hazel (Woodley) and Gus (Elgort) are two teenagers who share an acerbic wit, a disdain for the conventional, and a love that sweeps them on a journey. Their relationship is all the more miraculous given that Hazel’s other constant companion is an oxygen tank, Gus jokes about his prosthetic leg, and they met and fell in love at a cancer support group. Although the two teens face unlikely challenges, their courage and dedication to each other prove that while life isn’t perfect, love can still be extraordinary. Directed by Josh Boone, The Fault in our Stars comes to Blu-ray and DVD with an extended version that’s part of the Little Infinities Blu-ray edition.